In the mid-1960s, there seemed to be a breath of musical fresh air around every corner, every day. 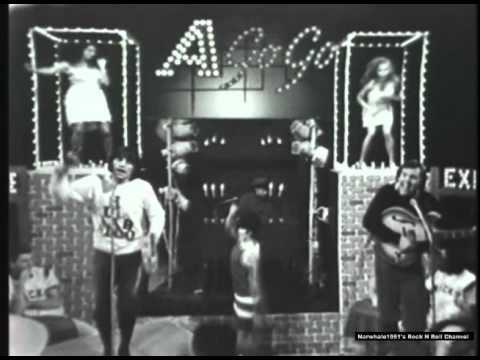 The Young Rascals (later simply The Rascals) were one of those unexpected puffs of wind that blew in – in this case from the suburbs of New York City. Their music is much more than black music pushed through a new horn. (A standard accusation white performers faced in the day.) It has elements of both mainstream and southern Jazz; there is a curious element of Big Band in them; and, perhaps because of the proximity to New York, there is a Broadway razzmatazz that speaks of the lights of the Great White Way. Regardless of how popular their songs and albums were, they inevitably adopted a strong, big-city posture. Their sharp-as-a-tack lyrics – sometimes erudite, sometimes gritty street talk, and at other times pleading for universal peace and understanding – are also a hallmark of the work. The Rascals could rock hard. Their first release, an innovative, sensuously slow tune about a cheating love interest called “I Ain’t Gonna Eat Out My Heart Anymore,” had gutsy, half-spoken vocals and powerful guitar licks but only found a toehold on the charts. It is well worth a listen. Choose. Is it him or me? Their Rock sensibility expanded with their next release. “Good Lovin’” was the first of three chart-topping singles for The Rascals, and it was a smash, particularly up and down the East Coast as well as the Upper Midwest. It is fast, hard, inventive and has an ultimate cool whirling around it right from the count in. The call-and-response in the verses is sheer musical genius, filling the musical holes that were hanging open on an early version by The Olympics. The Rascally responses also serve to accelerate rather than moderate the tempo. Felix’s vocals are superficially modeled on those of Olympics lead singer, Walter Ward, although Ward’s are smooth and crooner-like whereas Cavaliere’s are hot-blooded shouts. He’s a desperate man in search of the right medicine. The song is simple in layout and lyrics, but is adroitly put together. Simplicity can be extraordinarily easy to screw up. One of its writers, Rudy Clark, wrote other 60s classics like Betty Everett’s “Is It In His Kiss (The Shoop Shoop Song)” and a song first recorded in 1962 that George Harrison turned into a #1 hit in 1987, “Got My Mind Set on You.” While his output was small, when Clark shot, he hit the target dead on. The Rascals song is carried musically by Cavaliere’s organ playing, a Mad-Max-Beyond-the-Thunderdome approach that rips and roars. The lone non-New Yorker, Gene Cornish, is from Ottowa. His guitar is busy, bouncing from a cheery-rhythm form over to nice lead-style licks that make the listener wonder if there are two guitars playing on the track. 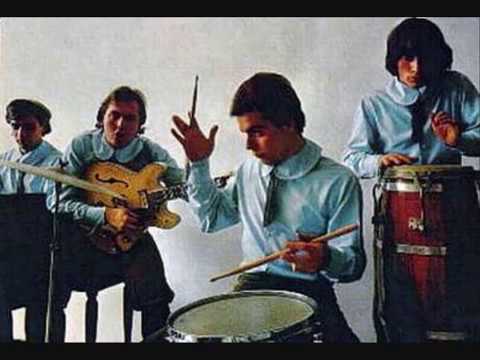 Eddie Brigati is the other lead singer for The Rascals and he aces his back-up harmony exam on “Good Lovin,’” all the while providing terrifically frantic percussion work. In the second verse the singer is speaking directly to his love object, pulling no punches. After all, the doctor has told him what his prescription is! After that second verse and another rousing chorus of “good lovin’!” as the song hurtles towards its break Cavaliere let’s out a scream on a par with anything The Who, Paul McCartney, Jim Morrison or James Brown ever mustered. “Good Lovin’” also helped to introduce something else to the world of youth. For centuries, dancing to popular music no matter how wired up it got was done to a pre-configured set of steps. Certainly there were improvisations, but the blueprint held heavy sway. Moves taught in dance schools, learned from teen dance shows, or picked up in the schoolyard didn't give ground easily. But with an onslaught of songs like “Good Lovin’,” The Yardbirds' “For Your Love,” and The Stones’ “Under My Thumb” those strictures dissolved like cotton candy in the rain and free-expression dancing swept the world. The Stones do "Under My Thumb"
As the musical break bolts to its conclusion, a full three-beat stop occurs that reprises – without the words – the shouted “1-2-3” at the top of the song. Felix screams, pants and yowls the word “love” over and over. Then “Good Lovin’” buttons up at the close as tight as a Victorian schoolmarm’s collar. Over, baby. Onstage, Steven Van Zandt of the E Street band and The Sopranos remembers, "They were the most exciting live band ever – literally. Eddie Brigati was the most exciting white front man in the business. He made Mick Jagger look like he was standing still. Dino Danelli was literally the greatest and most exciting drummer in all of rock-and-roll. Everybody who came to town studied Dino, including Keith Moon. Felix introduced the whole Hammond B-3 organ thing, and Gene was a great guitar player." 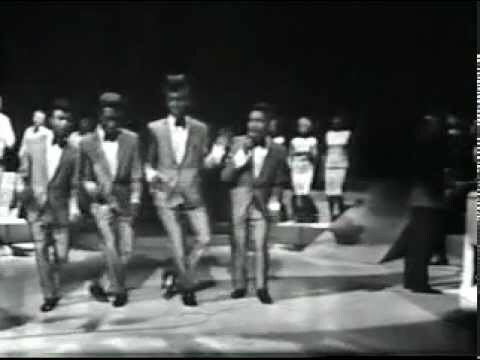 "Good Lovin'" leaves you breathless and shaking. Do not operate heavy machinery while listening. The song that followed “Good Lovin’” into the #1 chart position also has a well-defined stop before it ends properly. The song? “Monday Monday” by The Mamas And The Papas. This live performance on Full House shows how explosive, how moon-dog crazy these guys were. Part Jazz, part Sinatra street bravado, part soul and part almost-cheesy nightclub act - plus a lot of heartache.